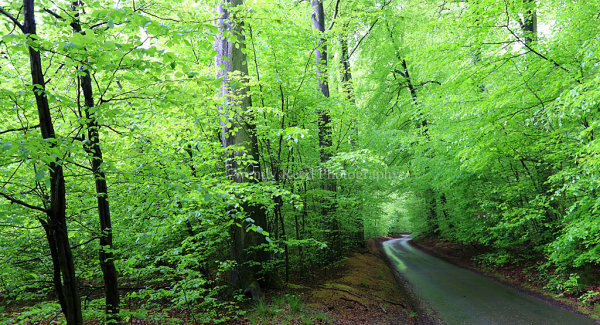 I love the colour of new beech leaves especially in the light after a rain shower. This photograph was taken just up the road from where the extension of Wyfold Lane meets Busgrove Lane near Stoke Row. It is always my favourite place to enjoy the beech trees bursting into life. I love how the light shines through the delicate new leaves and the intense lime greens. I also liked how the green was reflected in the puddles after the rain.